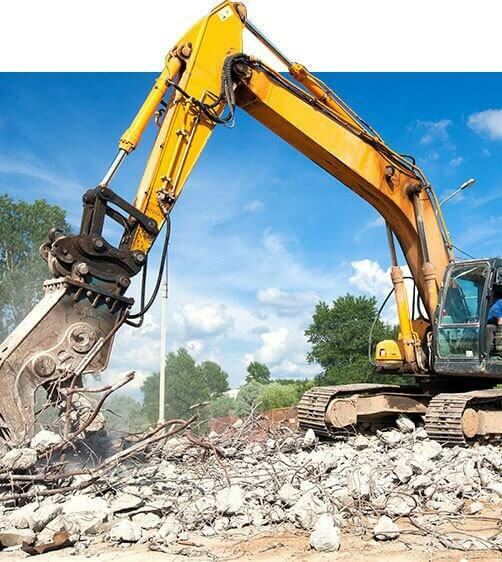 Super Demolition provide the appropriate supervision, labour, plant and equipment and all public protection. We work in unison with customers, neighbours, council and workcover to resolve any traffic management issues to achieve successful solutions to minimise disruption to road and foot traffic. 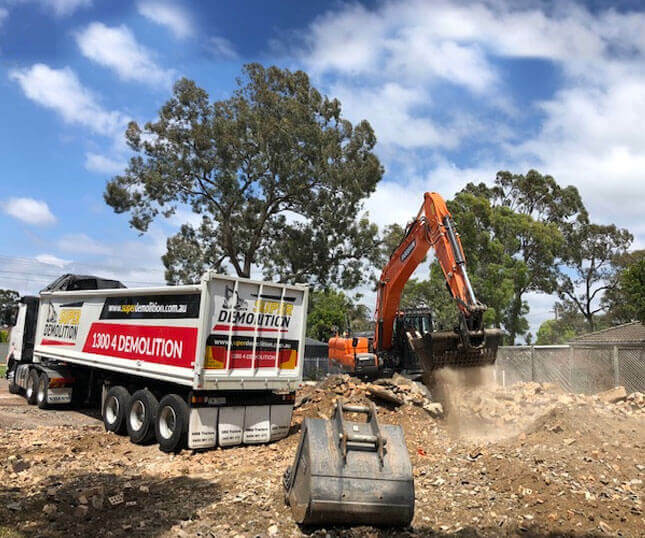 At Super Demolition, we pride ourselves with our recycling habbits to help the environment in the form of minimising unwanted landfill, resulting in the recycling of 97% of the demolished materials. All material removed from any job site is taken to an EPA approved recyling yard, better known to most as the local tip, which is sorted and distributed through the correct channels. What can be crushed and used as clean landfill and sent to job sites as required for voids, basements trenches etc. Any trees and green waste is mulched and sold to the local nursery, with the remainder or rubbish exposed off to Australian Standards. Dust and noise emissions for all demolition work are effectively controlled through implementing only environmentally sensitive methods and continual monitoring of the work processes and always within all regulatory and legislative guidelines.